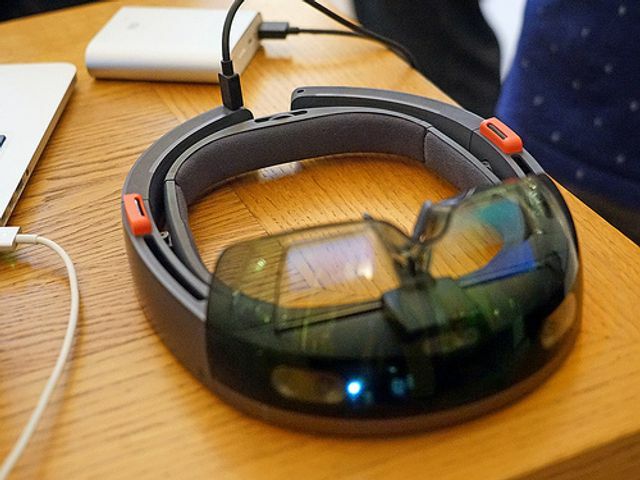 If you haven't seen the Microsoft Hololens, go read about it right now. I'll wait. You can (and should by the way) come back. This entry will still be here. Want to call a colleague for a consult? Skype makes that easy. And they can plant holograms in the room around you to show you what they mean, or teach you something new, too. Want to access the patient's CTs or recent info to help guide treatment while you operate or resuscitate? No problem, you can do both right away and they're easy. Bottom line: Hololens is an amazing product that has incredible potential in healthcare! it’s easy to take this incredible device into the different fluid, fast-paced venues of the hospital. It’s a simple matter to use the device as eye protection in the trauma bay or the OR. It’s straightforward to setup some holographic projections over the patient’s bed and to display their real time info from the electronic medical record. It’s no big deal to setup a panel with their CT scan displayed while I teach or perform a procedure. In conclusion, it’s rare that I’m amazed by a tech product–especially in these days of fast-paced innovation. However, when it comes to this one, I have one thing to say: Thank you, Microsoft, for building Hololens. This thing is amazing and will allow us in healthcare to do a lot of good. Thank you so much. …and that’s coming from an Apple guy! What examples of #augmentedreality in #healthcare do you know?